If you know me, you will know I love Jo Malone’s colognes. Their colognes never disappoint me, I love how the scent of the colognes changes and develops when you wear it on your skin, and that you can fragrance combine to create your own favourite scent. 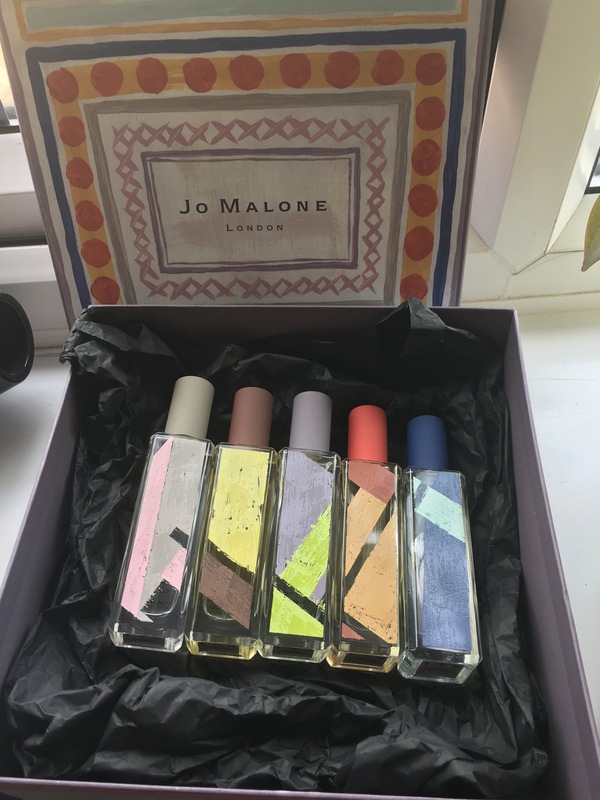 Jo Malone releases limited edition collections yearly, last year was The Herbal Garden and this year is The Bloomsbury Set. The 5 limited edition colognes were inspired by the free spirited artists of the Bloomsbury set, the Bloomsbury set consisted of a group of writers, intellectuals, philosophers and writers who worked, lived and studied together in the early 20th century. Virginia Woolf, E.M.Forsters, Vanessa Bell and Roger Fry were some of the well known members of the group. Their works had deeply influenced criticism, literature, modern views on feminism and sexuality. When the 5 bottles are placed next to each other, they resemble a pattern (as seen in the photos below). Whiskey & Cedarwood and leather & artemisia are my favourites out of this collection. I love a good whiskey and you could definitely smell the whiskey from it. It is warm, sweet and a bit woody, kind of remind me of a sherry oak barrel I smelt in one of the distilleries I visited. Also, this cologne reminds me of the Tudor Rose cologne from the limited edition Rock The Age that was released in 2015, which is also one of my favourite cologne I wear all the time. 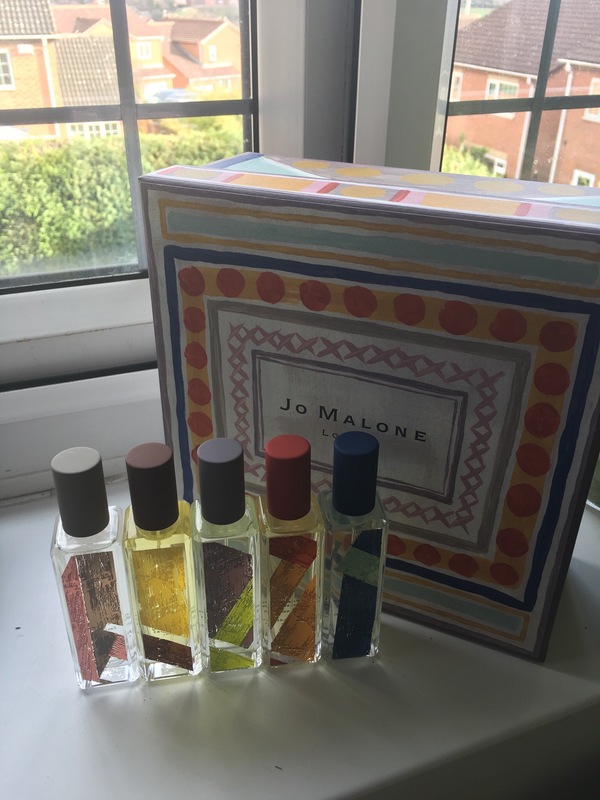 Leather & Artemisia… I must say it wasn’t one of my favourite when I tried it out on a scent strip in the shop, it isn’t like the other Jo Malone colognes, the scent is quite unique. But when I wear it on my skin my opinion changed. I love the freshness and the woodiness of it yet the creamy leather scent isn’t lost. It is so nice and refreshing I could sniff my wrist all day. Personally I think Leather & Artemisia is more for everyday wear and Whiskey & Cedarwood is for evening but everyone’s views are different. Do let me know what you think of The Bloomsbury Set.